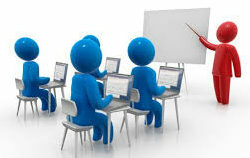 New Training Requirements: All employees must earn 12 hours a year of professional development training. The “year” will be a calendar year, so from January 1 – December 31, 2019. At least 3 of those hours must be internal to CCL, through All Staff meetings and other opportunities. For the other 9 hours, employees can take advantage of trainings offered or posted by CCL’s Human Resources Department, or can pursue other trainings as agreed upon by the supervisor who oversees the employee’s professional development plan. Please send any documentation to HR of your completion of any training so that we can track that for you.